Note: This article has been updated with clarification directly from The Wikimedia Foundation. 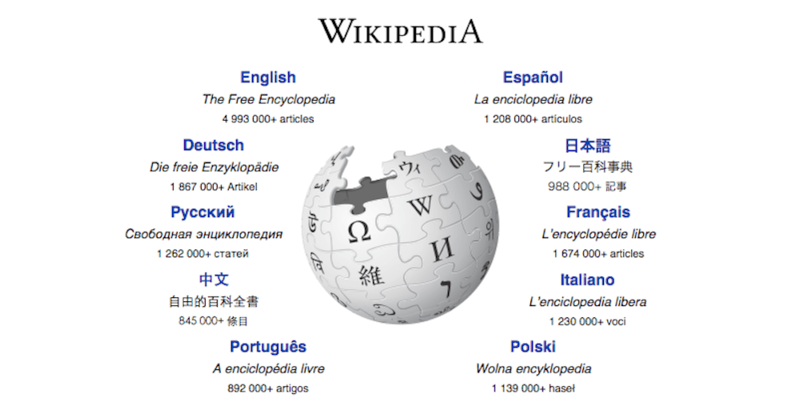 It would appear that there is a new search engine from Wikipedia in the works – one that would surface public information from Wikipedia and its sister free knowledge projects. “We continually work to improve how people can find and engage with this content, including but not limited to searching on Wikipedia. This is in keeping with Wikimedia’s commitment to operating in free and open way, without running ads and while protecting user privacy,” a representative from the Wikimedia Foundation tells us in an email. The Wikimedia Foundation was awarded a $250,000 grant from the John S. and James L. Knight Foundation in September. This is for the initial phase of a project with a total budget of roughly $2.5 million. A document from the Knight Foundation from September was just recently made public. In that, the project is described. It’s called “Knowledge Engine,” which is obviously very Google-esque. According to the document, this has four stages: discovery, advisory, community, and extension. Each will take about 18 months, it says. They’re also supposedly conducting tests with potential users, creating a public-facing dashboard of key KPIs, and measuring user satisfaction, load time, API usage, etc. That second question is particular interesting. It says that after 12 months, the Wikimedia Foundation will assess the progress and at the conclusion of the grant, the team will have sent the groundwork for the project to proceed to the second stage. You can read through the full document here. Last week, Wikimedia said Super Bowl searches show “Wikipedia is the second screen.” They pointed to the large search volume and clicks leading to Wikipedia pages related to players and the game.